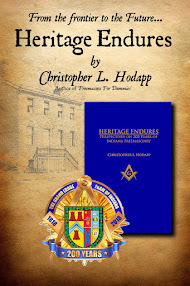 No happiness in reporting this, but here's another cautionary tale reinforcing the vital importance of proper accounting oversight in all Masonic organizations (typing this while undergoing the audit of my own books for the Library & Museum right this minute). 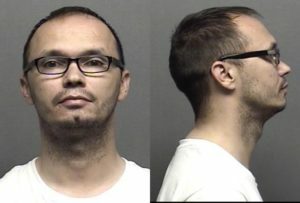 The Salina, Kansas Temple Association's now former Treasurer, Timothy Fowler, has been arrested for embezzling from his brethren. 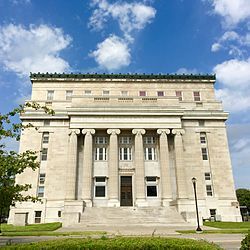 The treasurer for the Salina Masonic Temple Foundation is accused of theft and unlawful computer acts for allegedly embezzling $155,000 from the organization, Salina police Capt. Paul Forrester said. Timothy Fowler, 38, of Solomon, [KS] became treasurer of the organization in July and allegedly embezzled the money between Aug. 25 and April 10 by writing checks to himself and his business, Solomon City Regalia, Forrester said. Fowler allegedly made transactions on websites for airlines and hotels and visited adult websites. He also allegedly made transfers from one account to another, Forrester said. Police were notified after a board member for the Salina Masonic Temple Foundation was told by a First Bank Kansas representative that the foundation's account was overdrawn. Fowler could face charges of theft of more than $100,000 and unlawful computer acts. 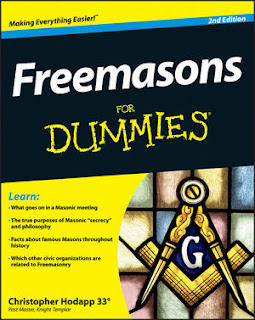 Unfortunately, this is much more common that many masons believe. We tend to hide such crimes from public and fraternal view, yet rarely require proper safeguards. I have personally been involved in two similar cases (both of which involved larger amounts of thief). This is the issue with opening the floodgates to men. Not sure if this is the case here...but... Not knowing a mans character and giving them the full trust of the institution by making him a Master Mason opens us up for a world of hurt. Well, it's highly doubtful that opening 'floodgates' is or is not the 'issue.' Even the most known and trusted men throughout history have become tempted by fate, circumstance, moral failing, or deliberate guile. All who have communicated with me about this man felt he was active, dedicated, and trustworthy. This has been a substantial shock to all of Kansas Masonry. Sadly, no one can predetermine what is in a man's heart or what he *might* do when no one is looking. And all of the candidate interviews, extended wait periods, background checks, and any other mechanisms in the world you might advocate can't predict it. Even a hundred years ago, there was a common wisecrack, that "'Trust' is just a name on a bank." First, I AM saddened to read this. I have interacted with Tim Fowler on social media only and am disappointed in his alleged conduct. Second, I must concur with ^^^Bro. Wayne Sirmon's^^^ comment that this goes on much more than we in the fraternal order may be aware of because it is covered up or concealed form the bulk of the membership when these misdeeds/ misconduct happens. Thank you for sharing this story Bro. Hodapp. Very sorry to see this, and I'm even more sorry to hear the Brothers above agreeing this is more common than expected. It certainly not only violates trust, but theft like this violates our obligations. He did it in less than a year. It's not that he isn't audited, it's that he did it before the annual audit occurred. I'm a lodge treasurer. Frankly I'm amazed that nobody's asked to look at my books, ever. Obviously our auditor inspects everything carefully once a year and I have to account for every penny, but I've never had a Master or Sec'y ask to take a peak mid-year. My books are available for inspection at any time, even by sideline guys. But nobody's ever asked. I'm flattered by their trust in me, but a little bewildered by it. It's virtually impossible to get away with these thefts, eventually the perpetrator's actions will be discovered. And he'll be prosecuted and punished. But if you're relying on the annual audit, by the time it's discovered the money could have been spent and there's nothing left to recover. Throwing the perpetrator in prison won't bring the money back if he's already spent it, and it won't save these lodges from losing their building. In Oklahoma jurisdiction an annual audit is required as another's. As secretary I and the treasurer both have our books open for anyone to look at any time. The obligation violation is what purely disgusts me. Well, the kind of person who's willing to steal is also the kind of person who would place his hand on a Bible and take an oath that he doesn't intend to keep. One thing everyone needs to remember when placing someone in a position that has access to the organization's funds, it is always the trusted employee or officer that embezzled the funds. It's not the suspected theif that hangs out on the corner, it is the person who holds your trust. Always implement proven controls to protect the funds, i.e. audits, multiple people with access to account records, etc. Never completely trust the trusted employee. One simple way is to require counter-signatures on checks or other payment methods. In Massachusetts, there's an edict in effect that requires the Master or a Warden sign every check along with the Treasurer. If the check is to the Master (for example, to reimburse him for an expense), then it must be signed by a Warden. I happen to know many lodges are ignoring this, and only having Treasurers sign the checks like they always did. The bank doesn't care, the checks are honored because the Grand Master's edict doesn't apply to the bank. These Treasurers aren't stealing, they're paying the lodge's bills. But the point is, they're ignoring the "requirement." And what about using online bill pay for checks? Those checks don't get signed by anybody at all, they're automatically printed out by the bank and mailed through an automated process. The process can even be set up so that the payment itself is done electronically, without any check ever being generated at all. Plus there might be a debit card that can be used for almost anything. The article says, "Fowler allegedly made transactions on websites for airlines and hotels and visited adult websites." All of that can be done without checks. A counter-signature requirement is like a cheap lock: it only stops the honest people.